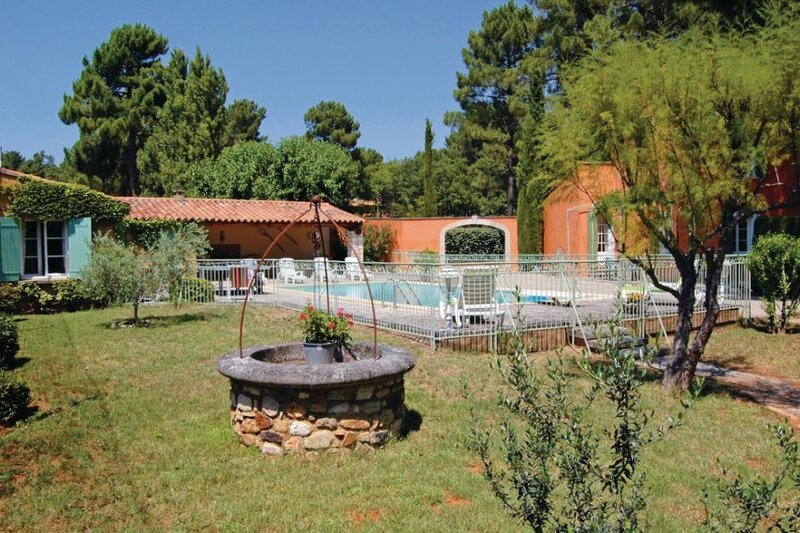 This spacious two bedroom villa - named Villa Les Sablières - is situated on the outskirts of Roussillon (1km away) and 40km to the east of Avignon. This spacious two bedroom villa - named Villa Les Sablières - is situated on the outskirts of Roussillon (1km away) and 40km to the east of Avignon. Roussillon is widely considered to be one of the most picturesque towns in Provence and is fantastically located in the heart of the Luberon, between Apt and Gordes. The villa's location - between the beautiful Parc Régional du Luberon' Nature Park and Mont Ventoux - promises easy access to stunning landscapes, as well as a range of activities including hiking and cycling. You may also wish to enjoy a day trip to the stunning Cote d'Azur.The detached holiday home has been comfortably furnished and offers a cosy and homely decor. It boasts a kitchen, a living area, two bedrooms and a mezzanine, as well as one bathroom. One of the bedrooms is accessed via the garden. Outside, the pretty garden includes a swimming pool and summer kitchen. The agent has rated it as a four star property so it is a well-equipped villa with above average furnishings. It is also great value for money. This villa has a swimming pool and is located in Roussillon. It is set in a good location: there is a restaurant 1km away. The villa has free wireless internet. The villa is well equipped: it has a refrigerator, microwave, washing machine and dishwasher. It also has a barbecue, a garden and some garden furniture outside.